Of the 50 states in the United States of America, 46 states (and the District of Columbia) require a private investigator to have a license in order to perform his or her investigative duties. Alaska*, Mississippi, South Dakota, and Wyoming. 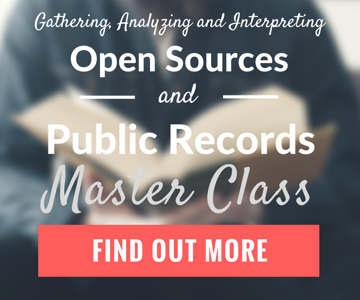 *Although there is no licensing requirement in the state of Alaska, certain cities (such as Anchorage and Fairbanks) do have their own private investigator licensing requirements. Alabama, Arizona, Arkansas, California, Colorado, Connecticut, Delaware, Florida, Georgia, Hawaii, Idaho, Illinois, Indiana, Iowa, Kansas, Kentucky, Louisiana, Maine, Maryland, Massachusetts, Michigan, Minnesota, Mississippi, Missouri, Montana, Nebraska, Nevada, New Hampshire, New Jersey, New Mexico, New York, North Carolina, North Dakota, Ohio, Oklahoma, Oregon, Pennsylvania, Rhode Island, South Carolina, Tennessee, Texas, Utah, Vermont, Virginia, Washington, West Virginia, and Wisconsin. ￼What is a private investigator? While each state has its own definition of a private investigator, in general, a private investigator is someone who is hired for a fee or other consideration to obtain information regarding the habits, conduct, whereabouts, or trustworthiness of people; the location of stolen property; and/or the cause or responsibility of accidents, injuries, or fires. Private investigators can also be tasked to secure evidence for use in a court proceeding or other hearing. ￼What is required to become a private investigator? Laws vary by state, ranging from zero years of experience up to six years/10,000 hours of experience. Of the states that require a private investigator to have a license, ten states have absolutely no requirements regarding previous experience, while other states, such as Nevada, require 10,000 hours of experience. Another example is Maine, which requires six years of experience. In most states, at least two years of related experience is required before obtaining a license. HELLO Brian are you there ? Is this site still operational:- ???? I was not sure if there was anyone moderating his site. I have written a post about licensing laws in Idaho but it appears it is not being displayed. I have also written an email to the editor regarding the same issues, Should Diligentia group or any of it’s readers care to know about the laws of licensing in the United States, they have changed. Many state which use to have NO licensing at all, now have select cities which require it. Idaho is the biggest example of this , with Idaho select cities being very strict when enforcing an Investigator who is unlicensed. not sure what happened to the long detailed message but, oh well such is luck, right? Anyway, if any of our PI friends are interested in knowing PI Licensing laws that have made some changes especially in Idaho where we seem to have several PI’s operating in cities illegally without the proper Investigations license and Insurance, Bond and passed background check. Contact the PIAI.us for more info and glad to know that the diligetiagroup.com is still up and running:-) REMEMBER, Idaho does have licensing, don’t get the penalties . Hire a PI in Idaho who is licensed if the city requires it. Better to be safe than sorry and have your work hold up in court. Thanks Daniel. The post has been updated. Do you need to be a licensed PI to work as a Law Firm Investigator in the state of california? Many thanks for the interesting article. I am a Private Investigator in Indonesia (www.indonesiadetective.com). In Indonesia PIs do not exist formally. There is no system like in America, Australia and the UK for example where PIs are licensed. However, I feel it is vital for our clients that we are both registered and qualified. So I have registration but my company os licensed as an”information consultant”. So that is how I get around this block. Also of corse it is essential for clients that deal with real registered companies (there are many ‘cowboys’ out there). Also I have taken a diploma in PI work from the UK, and recently graduated with an Australian Government accredited certificate in Investigative Services. Dateline – Colorado. The author and readers of this blog might be interested to know that Colorado’s oldest and largest PI trade group of PIs are currently pushing to convert the voluntary system to mandatory. The voluntary system has had some issues with respect to funding, and it is apparent that the system needs to convert to mandatory if regulation of the industry is to survive in Colorado. A lot of people, are wondering why the voluntary system didn’t work. The first thing to understand is that in Colorado, the regulation of the industry gets no funding – zero – from the general state fund. The program’s cost must be paid for completely with the fees paid by the licensed professionals. In other words, we needed enough PIs to “license up” to fund the program. First, you needed a minimum of about 250 of the estimated 600 PIs to “license up” in order to keep registration fees at a reasonable level (reasonable as in, say, less that $300/yr) and to pay for the program, which costs approximately $180,000/yr to run. Second, you needed official government Custodians of Record (county clerks, court clerks, DMV, Secretary of State, etc.) to come on board and “recognize” these vetted professionals and give them easier access to (what was once) public records. These two factors would create an environment that that would be favorable to licensure. Instead, the regulatory agency in charge created a program that was confusing and offered a loophole into the longevity of the license that was counterproductive. If a person “licensed up” within 120 days of the renewal date, they didn’t have to renew until the following year. So for Colorado, the first renewal date was April 1 2013. Many investigators waited until December 2012 to apply, knowing they wouldn’t be licensed until February 2013. That meant they wouldn’t be required to renew again until April 2014 – in effect giving them a 15-month license. The problem with this loophole was that the regulatory body in charge took a head count of licensees in November 2012 in order to set the fees for 2013. At that point, only 60 had applied. And so they set the fees at $600. And of course, that scared away a lot of PIs. Currently, there are approximately 90 licensed, well short of the critical mass needed to keep fees low. The second big problem was that Colorado custodians of record did not play along. DMV, courts, clerks, etc., were content to sit back and wait and see what happened. Additionally, there were industry factors that contributed to the failure of the voluntary system. All of your big data providers (Lexis, TLO, LocatePlus, Tracers, etc.) all require proof of license for a PI that operates in a regulated state. Yet once Colorado passed voluntary, none of these powerful companies changed their requirements for Colorado PIs. They continued to accept business from unlicensed PIs and did not require their current customers to come into compliance. So, that said, Colorado is faced with a repeal of the system and go back to a completely unregulated industry. The alternative is to amend the statute to make licensing mandatory in Colorado and bring everybody under the umbrella of regulation in order to keep fees reasonable. I invite everyone to keep a close eye on Colorado during its 2014 General Session as this issue moves forward. In a state that dose not require a license is it still possible to become licensed? As far as I am aware, Colorado is the only state that you can choose to be licensed. 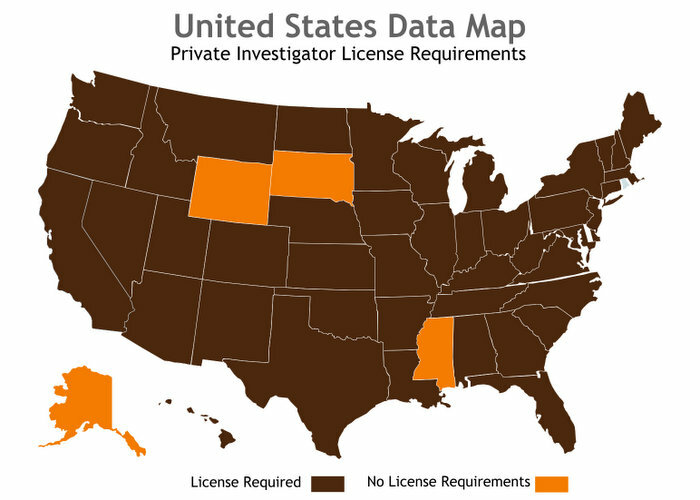 The other states do not have a licensing board for private investigators, so you can’t be licensed in that state. Cant wait for it to come in here in the UK! Good follow up, Brian. Was really pleased the new legislation passed here in AL.